On this page, you can find information about my forays into hardware-based projects such as Gadgeteer projects and modules, etc. If you’d like to see some of my video demos (similar to the one below), you can check out my Vimeo channel. Builds: What’s cooking in the garage? 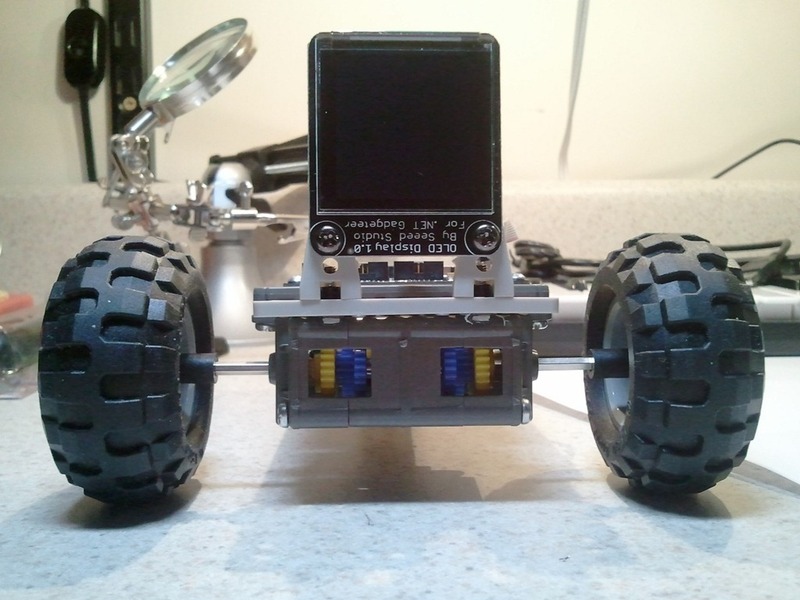 The first project for Devhammer’s Garage is a custom module for .NET Gadgeteer. 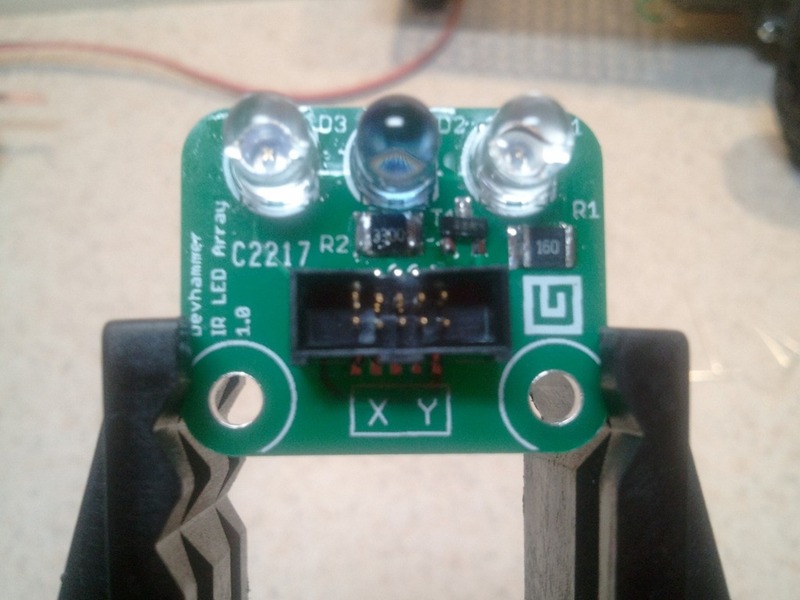 The module is an IR (infrared) LED Array, and I’m using it to control an IR remote control helicopter, but you could use it for all kinds of stuff, including creating your own Gadgeteer-based universal remote control, home automation, and more. At present, I’m in the process of ordering a set of PCBs to verify that the design works as expected, and have ordered all the parts needed to complete a handful of modules. If you think you’d be interested in having a module like this, please drop me a note and let me know. The Gadgeteer driver for the module is available for download here. While I’m still happy to happy to sell modules to anyone who’s interested, please be aware that these are sold as-is (whether assembled or as a kit) and do not have any support beyond the driver linked above. This is purely a hobby for me, and the only reason I charge at all is to offset my time in developing the module and help cover the parts cost. Just wanted to set clear expectations about what you’re getting. One of the things that presents a challenge when trying to control a device via IR is understanding the protocol by which the device is controlled. Most consumer IR devices use a 38khz carrier frequency (meaning that when the IR pulse is active, the IR LED(s) are not simply on, they’re actually flashing 38,000 times per second), which minimizes interference from ambient sources of IR light (such as sunlight). But the pattern with which this carrier frequency is switched on and off varies by device. For TV and audio remote controls, this is usually a simple short pattern, which is sent when a given button on the remote is pressed. This makes capturing and replaying these commands relatively easy, which is what a universal remote control with a learning mode does. For devices such as the Syma S107g and similar helicopters, the controller sends an ongoing stream of packets, at a rate of several per second, that continually tell the helicopter what to do. This means that simply recording and replaying commands is not a very practical way of replicating the function of the controller. The other option, then, is reverse engineering the protocol, which consists of finding a way to capture the signal (either by building an IR receiver circuit, or directly connecting an oscilloscope or logic analyzer to the appropriate output pins on the controller), and then moving the controls around and observing the impact on the signal. The good news for me was that for the Syma S107g, this work was already done. I originally got my information from an RC forum, where a user by the handle of Darkstar2000 posted a thread in which he analyzed and shared his learnings on the protocol analysis (the interesting stuff for the Syma S107g starts on page 3 of the thread). Each of the above posts provides some additional insights that will be useful to anyone interested in the process of analyzing and replicating an IR protocol. 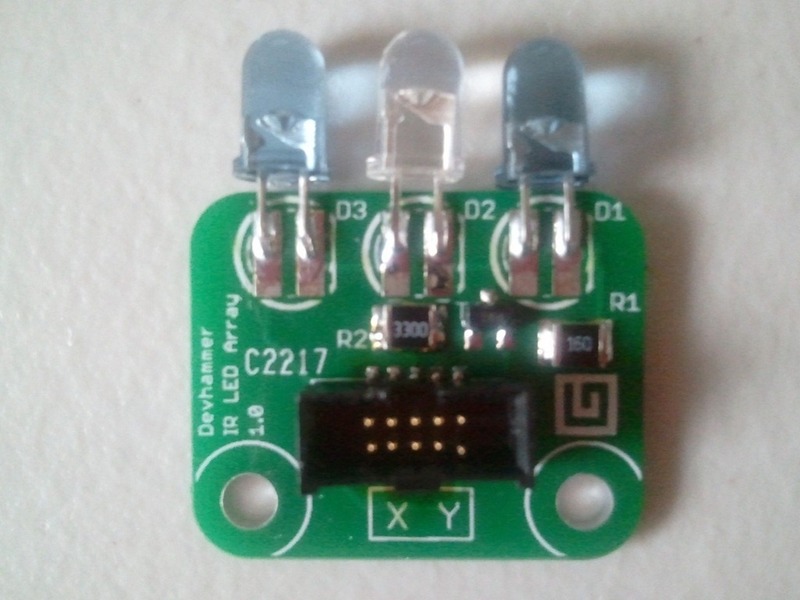 Also highly recommended is the excellent IR Sensor tutorial over at adafruit, which has a ton of great background info on how IR sensors and emitters work.